Foam from detergent build-up makes your machine work harder. It can ruin your equipment and cut its cleaning effectiveness. 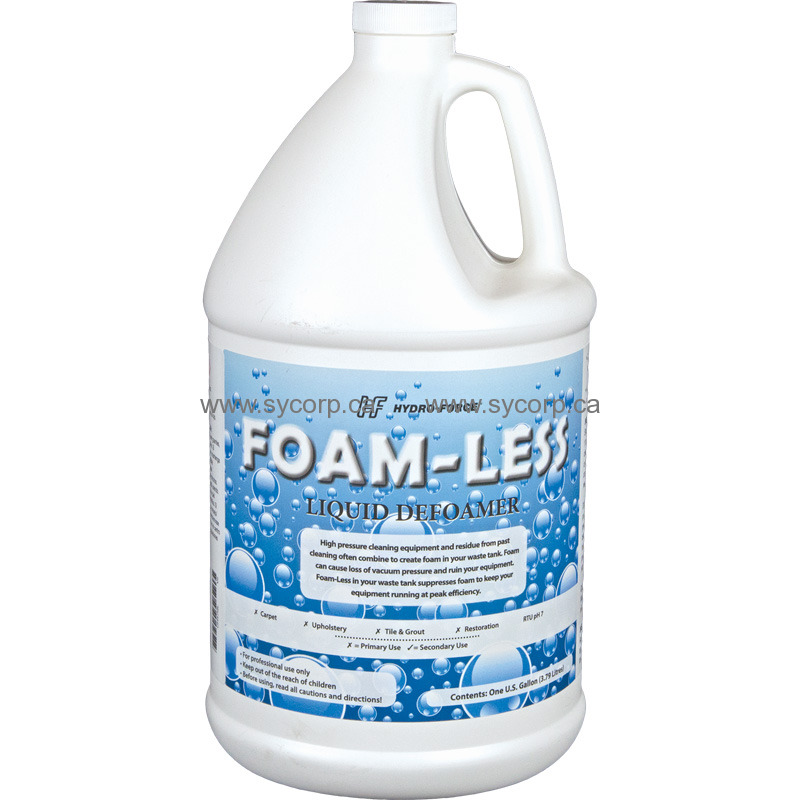 Prevent foam problems by adding Foam-Less through your vac hose or directly into your waste tank. Highly concentrated. Don't let a little foam slow you down.